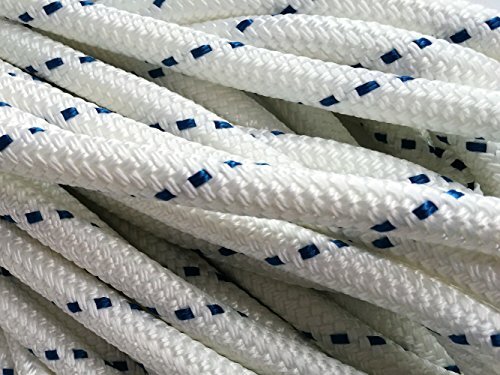 This is one brand new, never used 1/2" by 300 feet of white with blue tracers premium double braided/yacht braid polyester rope. This is an excellent line for halyards, sheet and control lines. Can also be used as cell tower safety line or anchor line. This line does not come with a splice or thimble. Made in the USA.